Dhruva started his meditation and went without food and water for six months, his mind fixed on the Lord. The austerity of his tapasya shook the heavens and the Lord appeared before him, but the child could not open his eyes. He was merged in his inner vision of Vishnu’s form. 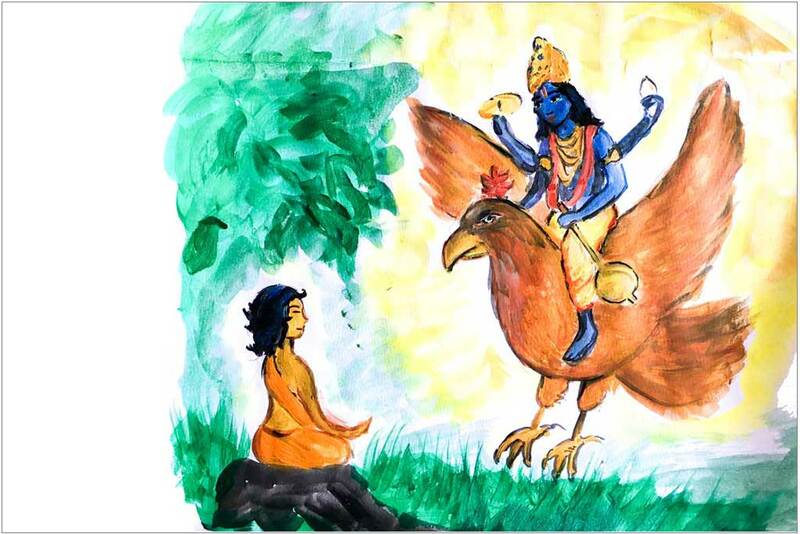 Lord Vishnu had to find a way to make that inner vision disappear.